A burst water main on G St NW diverted hundreds of pedestrians in the White House area. 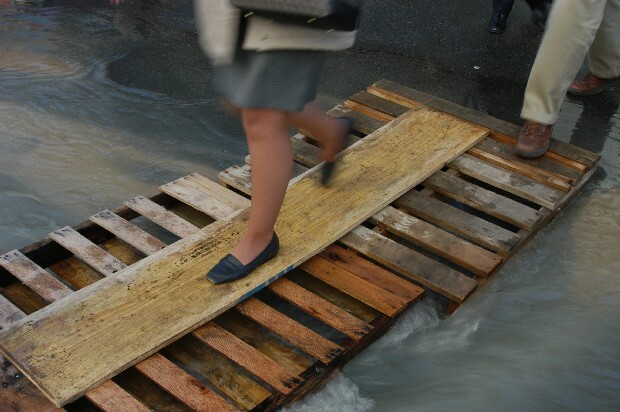 Jimmy, owner of the Xchange Saloon (I designed their logo) built a bridge of pallets across the urban rapids. "Come on in and get something to eat," he encouraged the bridge crossers.